North West-based Aurivo co-operative is mulling over a potential merger or partnership with LacPatrick, one of the North’s largest dairy operations. LacPatrick was formed in July 2015 as a result of the merger of Ballyrashane and Town of Monaghan Co-ops and is regarded by the industry as a leader in the dairy sector. Aurivo said in a statement that it noted the developments in LacPatrick Dairies in recent days and, “following a meeting on Monday, the board of Aurivo has agreed to participate in its formal process to assess strategic options. “We believe that there would be a very good fit between the businesses of LacPatrick and Aurivo, given our complementary dairy portfolios and milk pools across the Republic and Northern Ireland. However, it looks from reports that farmer representatives have urged LacPatrick be given the “space and time” to assess the best option for the co-op. This is said to follow interest from at least one overseas investor, and domestic co-operatives, about a possible tie-up with LacPatrick. Lakeland Dairies is mentioned as a likely partner, but interest has also been expressed by others including Northern Ireland’s Dale Farms, which is owned by over 1,300 dairy farmers across the UK. A merger would have to be approved by 75% of the LacPatrick members. In February, LacPatrick unveiled a ‘Brexit-proofing’ technology centre near Strabane in a £30m investment creating 20 new jobs. 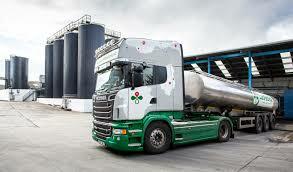 With improved capacity, the co-op is in a position to make two new milk powder products for export. LacPatrick are believed to have cut milk prices twice this year, in Feb and March, by 5c a litre. A Sligo farmer has questioned what the future of any merger will be “if the British make a balls of Brexit. What happens to milk access to the south if there are levies or quota controls,” he asks. Aurivo reported a group operating profit (before exceptional items) of €3.9 million for 2017 – an increase of 10% on the out-turn for 2016.